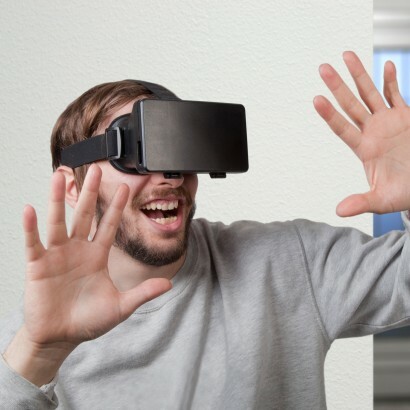 Lose yourself in virtual worlds where dinosaurs roam, where you can fly through space or ride the ultimate rollercoaster all by using your smartphone! 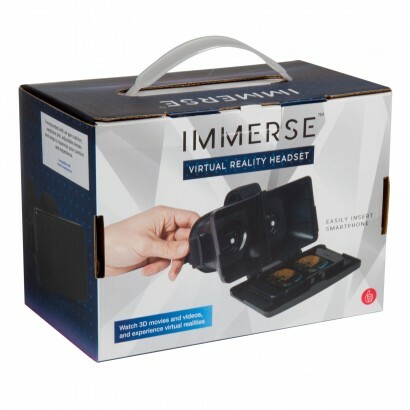 Download 3D content onto your smartphone and the Immerse virtual reality headset will let you experience it all in 3D! With oodles of inexpensive content available on the Google Playstore and the AppStore, you're never short of new experiences that will take you out of this world! 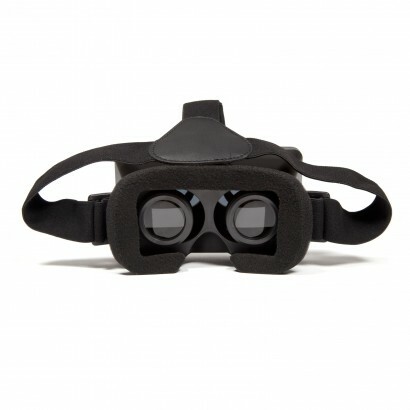 With an eye cushion, earphone slot, adjustable lenses and an adjustable strap to maximise your comfort, Immerse boasts a 360º view and a screen view that adapts to your head movements all to give you the best possible user experience. You won't believe your eyes! A huge range of free and inexpensive content available to download from Google Play Store and App Store. Watch 3D videos online by searching "Side by Side 3D" on YouTube.